Today is International Waffle Day! We are not big waffle eaters and because of this I do not have a waffle iron, so celebrating this day is going to be hard for me. 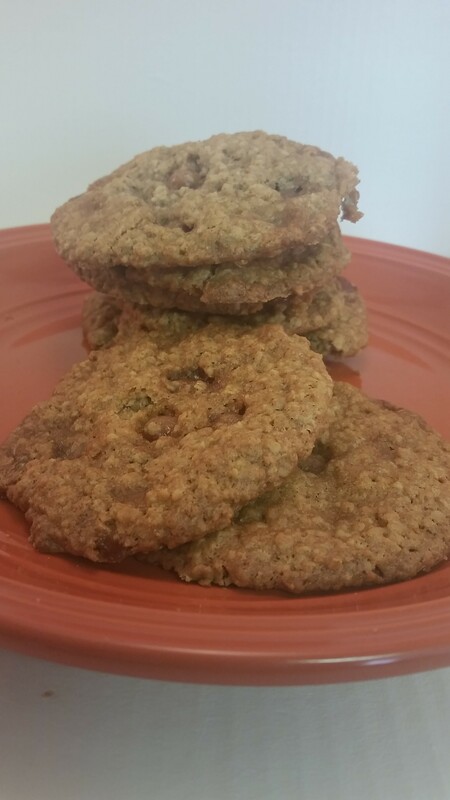 So I asked Amy over at The Gifted Gabberto share her recipe. I must say it looks delicious! What a great week! 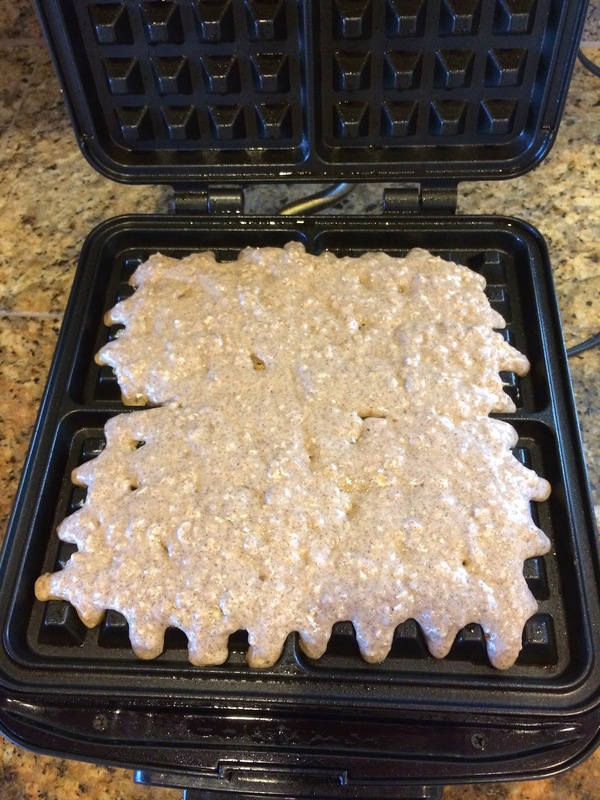 Spring break, International Waffle Day, and my first guest post! Many thanks to Renee for letting me share a little corner of her world. All the people in my family are big breakfast eaters. All except for me. I’ve never cared much for breakfast. There are a few exceptions: scrambled eggs with cheese, hashbrowns, bacon, waffles, omelets, blueberry muffins, those sausages my family calls “lil’ Smokies.” Okay, maybe I like breakfast more than I realized. Waffles are a great breakfast choice in our household because they are easy for the two-year-old to hold and eat without a huge mess. I often make a large batch and freeze the extras so we have them to toss in the toaster on busy mornings. This particular recipe is great because the oatmeal base makes the waffles quite hearty. There are many variations of this recipe floating around. 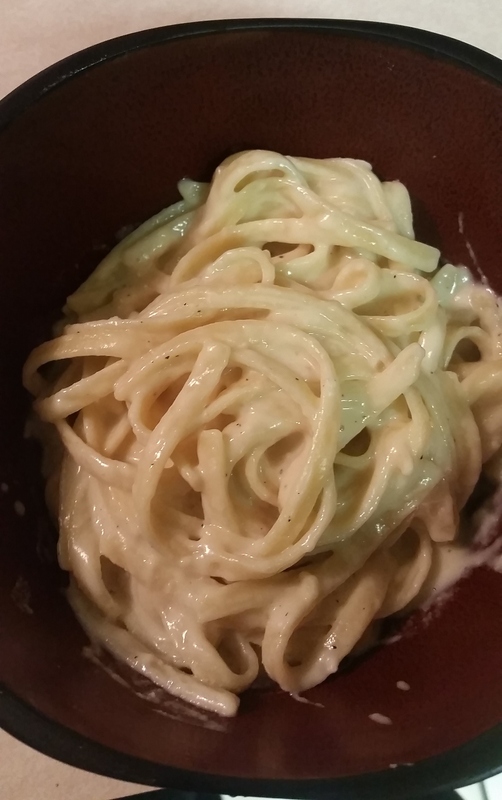 My recipe was adapted from the Taste of Home version. The recipe below usually yields eight waffles on my griddle- but I think that might vary depending on the type of griddle you have. I like to get the apples started first. I wash, peel, and slice 3-4 apples – any kind of apples I have on hand. 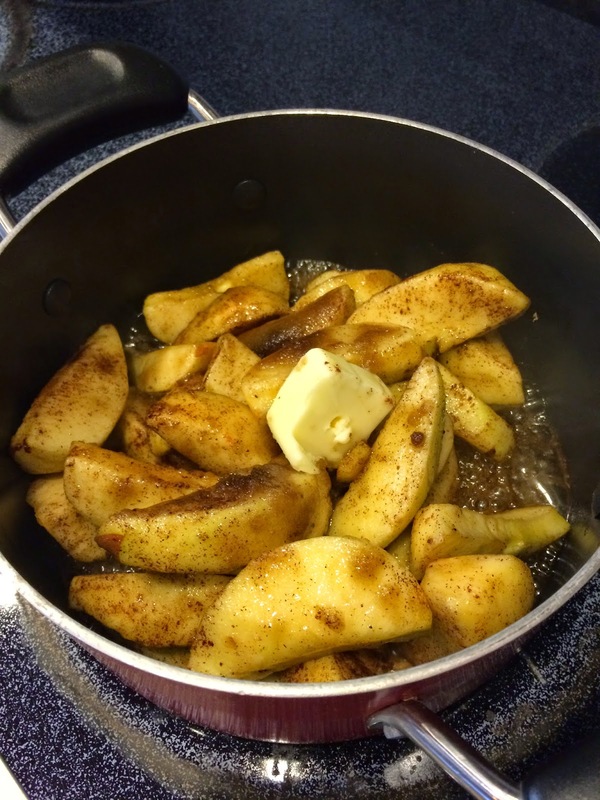 In a small bowl, I toss the apples with the brown sugar and the cinnamon. Next, I add the apple mixture and water to a small saucepan, and I toss in a tablespoon or two of butter. I stir occasionally while the concoction simmers over medium heat. After about 15 minutes, the apples are cooked down and swimming in thick, gooey syrup and my house smells absolutely heavenly. While the apples are still cooking, I put together the waffle batter. First, I melt the butter in the microwave so it has some time to cool before I need it. 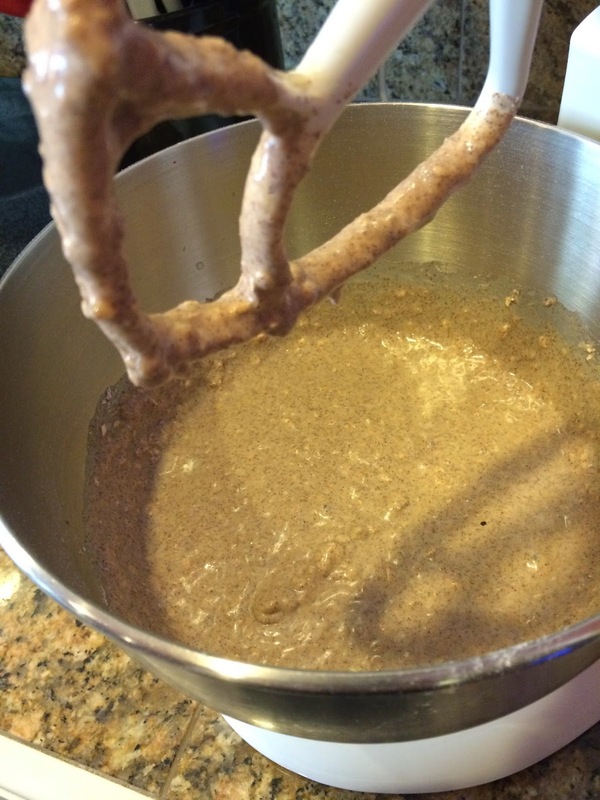 Into the bowl of my stand mixer, I add the flour, oats, baking powder, cinnamon, nutmeg, and salt. I give it a quick stir. Next, I add the beaten eggs, milk, the cooled melted butter, and the brown sugar to a medium mixing bowl. 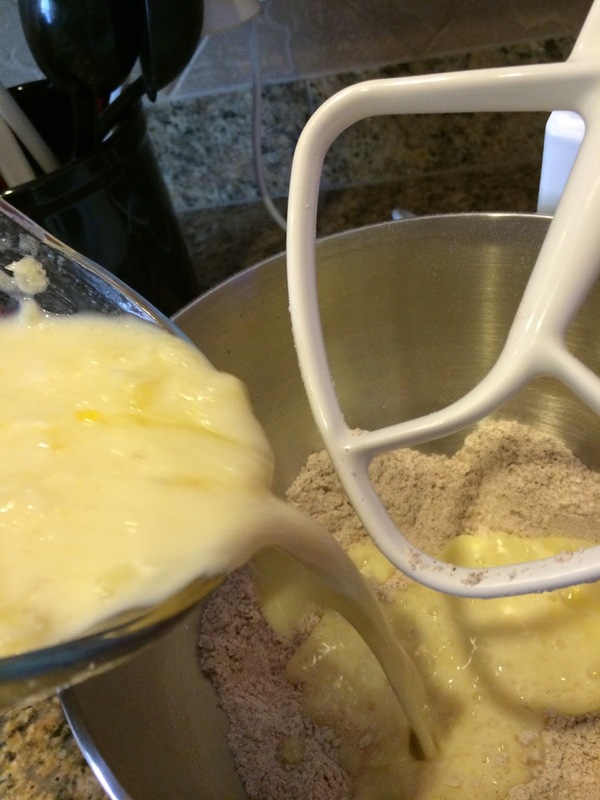 I pour the butter mixture into the bowl of dry ingredients, stirring until well-blended. At this point, I carefully pour the batter onto the lightly greased, preheated waffle iron. My Cuisinart griddle takes about 3-4 minutes to preheat. I’ve learned the hard way that it is best to slowly pour the batter into the very center of the four-square grid and let the batter slowly spread toward all the edges. I use a spatula to help it along, if needed. I close the lid on the griddle and let it rock. However, another lesson I’ve learned is not to wait for the timer to go off, as my Cuisinart instruction manual directs me to do. Doing so has left me with burnt, dry waffles in the past. Now, I take a little peek about ¾ of the way through to see how things are looking. Once the waffles are ready, I carefully remove them with a fork or a spatula. 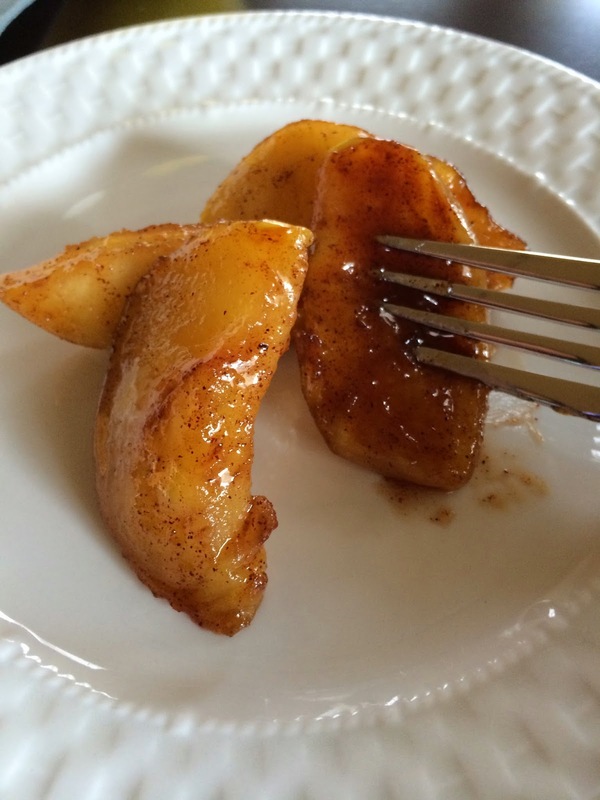 The cinnamon apples and their syrup make a delightful topping for these babies. Of course, cinnamon apples make a fine dish all on their own. 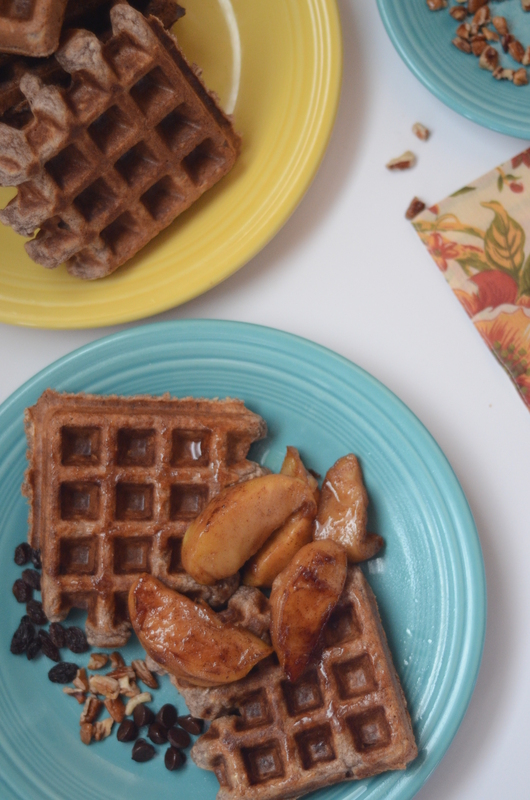 Show some love for International Waffle Day and give these cinnamon oatmeal waffles a try! Of course, you can always enjoy them again on National Waffle Day on August 24 and any day in between!